Books are movie magic !!! The trend in reading habits for the youth is changing and changing in a big way from shifting their interest from literary to interesting stories that have a good way of telling the story which keeps them entertained,interested in reading more such books,And this seems to me the reasons behind Books being adapted into films ,its a growing scenario around the world where not just bollywood but hollywood too has being part of a trend where they are adapting books into films with examples like fault into star by john green was made into a film by the same title ,to gone girl being adapted by the same title yet again ,to a number of bollywood books being adapted into films like the 3 idiots from five point someone by chetan bhagat to 2 states as 2 states and kai po che from 3 mistakes of my life from the same author .The change has taken place since one of the reason could be to easily connect with audience for the story.It could also be that the audience is more interested in good story telling today ,then what it was in the past .With people being preoccupied with work most of the time . The people ,might want to read an interesting story that make them realise and take them to another world where there are much more conflicts, that people are dealing with and that makes them feel better about their situation since they are not the only one’s in this situation. Also Today people are more interested in reading something worthwhile ,where they feel the change amongst themselves towards their attitude and their thinking since they haven’t got the time to really go through something that is not worth their time . 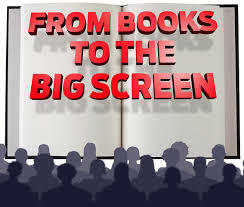 also one of the reasons why movies are adapting the book formula is because of the audience already being aware of the story and want to re-live it visually for some , while for others its the other way to re-live it through the text or imagination that might be the reason behind books being adapted into films and then turning out to be a bestseller . There is one such book which I am looking forward to grab my hands on- Tigermates which from the preview seems a very interesting book .